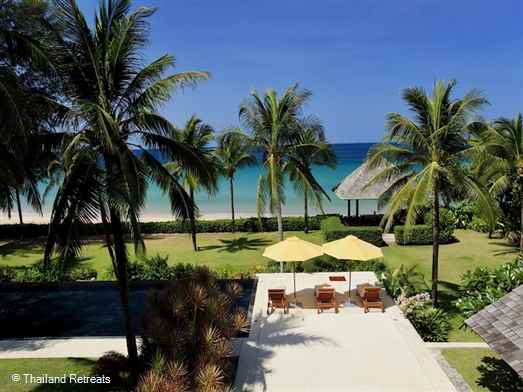 Amanzi is located in a prime position on a headland within an exclusive estate overlooking Kata Noi Beach. 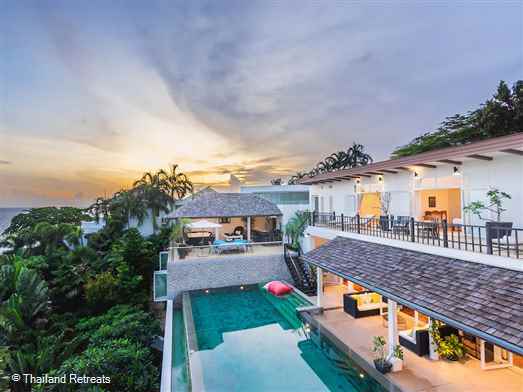 This luxuriously appointed Phuket villa features an infinity edge swimming pool, private sauna, media room and outdoor entertainment areas. Access to the Estate's tennis court and fitness centre. 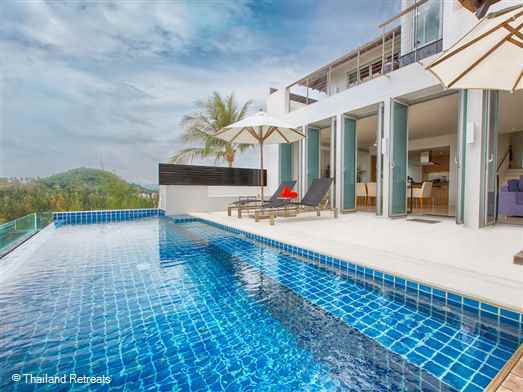 Baan Surin Sawan is situated on an exclusive hillside estate just minutes away from Phuket's popular west coast beaches of Surin and Bang Tao. 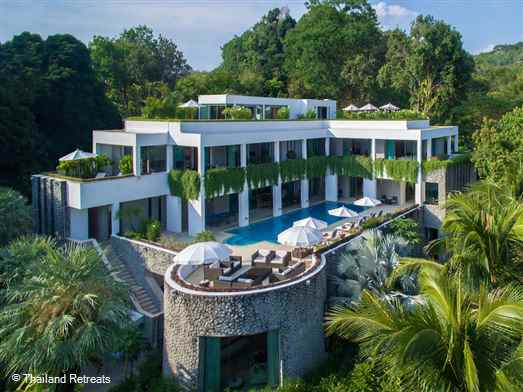 This elegant villa embraces luxurious, tropical living. 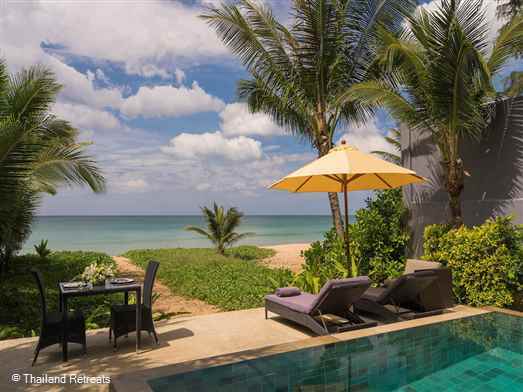 Baan Talay Rom is a sublime luxury beachfront Phuket villa boasting and incredible 60m of beachfront on the white sands of Natai beach just north of Phuket. An appealing choice for families or groups of friends looking for contemporary comfort as well as a wedding venue. 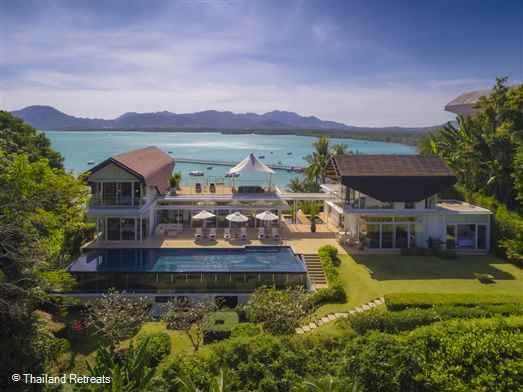 25m beachfront swimming pool, spa, massage room, gym and jacuzzi. 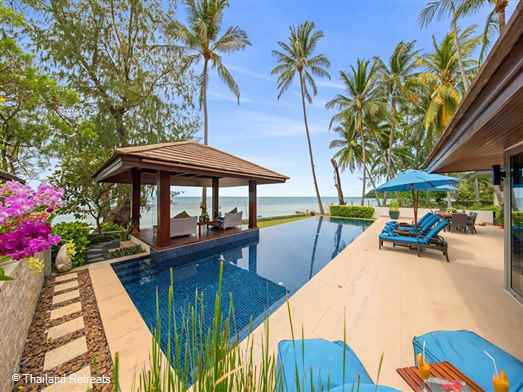 Baan Tawantok 1 is a 5 bedroom beachfront villa on the beautiful white sands of the 3km long Lipa Noi beach on the sunset facing west coast. Facilities include a shared tennis court, beach volleyball, kayaks and paddle boards. Offers rates for 3 & 5 bedroom use certain seasons. 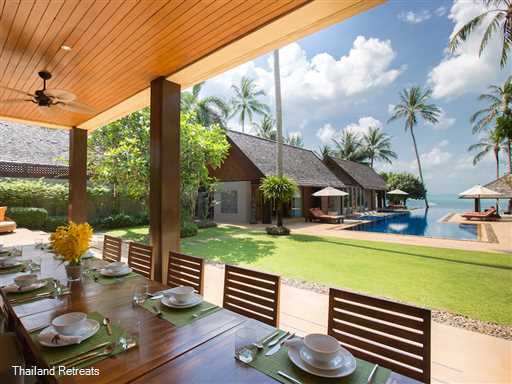 Baan Tawantok 2 is a 5 bedroom beachfront villa set on the quiet sunset facing Lipa Noi beach in Koh Samui. Great for long walks and swimming. Shared tennis court with neighbouring villa. Rates available for 3 and 5 bedroom occupancy. One Waterfall Bay is a perfect venue for that family get together or special party celebration. 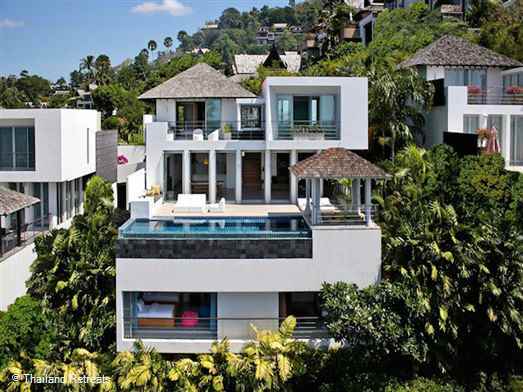 Luxurious interiors, sweeping staircases, vast rooms and first-class service gives this stunning villa a wow factor. Cinema room, spa room rooftop top terrace, car and driver, kiddies toys and games. 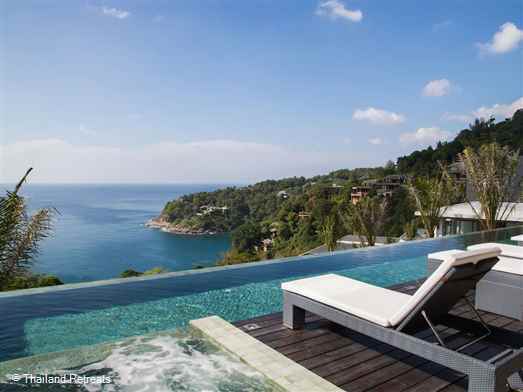 Phuket’s beaches, dining and leisure choices are all within within easy reach. 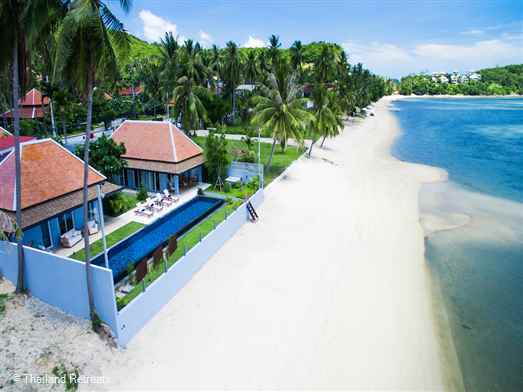 Tawantok Beach Villas comprises of two adjacent luxury 5 bedroom Samui beach villas set on teh stunning west facing Lipa Noi beach. The villas share a tennis court, 2 kayaks and 2 paddle boards. Perfect venue for large family celebrations, weddings and corporate retreats. 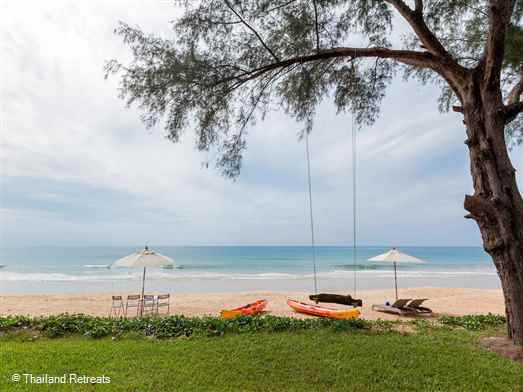 Twin Villas Natai are 2 elegant 5 bedroom connecting villas fronting 10-kilometre stretch of sand on the Andaman coast. Optional connecting living area pavilions for joint socialising create two 12 swimming pools and a super shared lawn area perfect hosting a wedding or event. 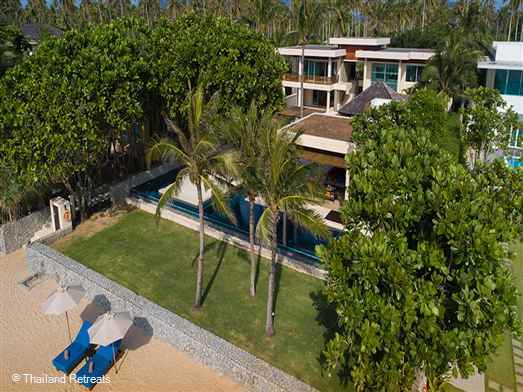 Villa Nandana is a private stand alone luxury beachfront vacation villa located on beautiful Natai beach. Centred around a 20m swimming pool the villa has appealing contemporary facilities as well as it's own gym. Tropical living at it's best and perfect for that dream wedding. 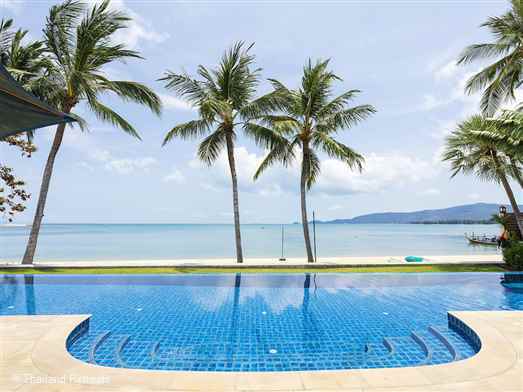 Villa Neung is located on a small beachfront development of contemporary style Koh Samui villas located on a secluded cove in the up and coming north west of Koh Samui adjacent to the Four Seasons hotel. 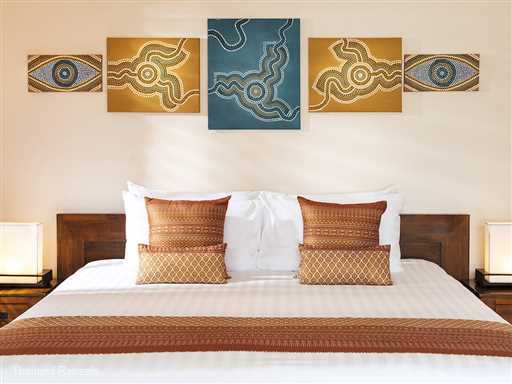 The villa offers a 2 bedroom and 3 bedroom occupancy. 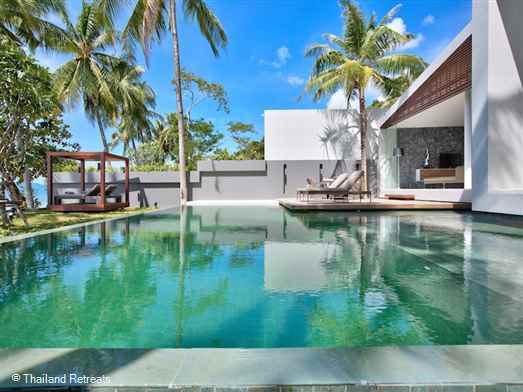 Villa Saan is a modern Phuket villa boasting 8 spacious en-suite bedrooms with stunning ocean views. Offers elegant living and dining areas including a home cinema, games room with pool table and a19m pool and a gym with spa facilities. Ideal for large groups, celebrations and events. 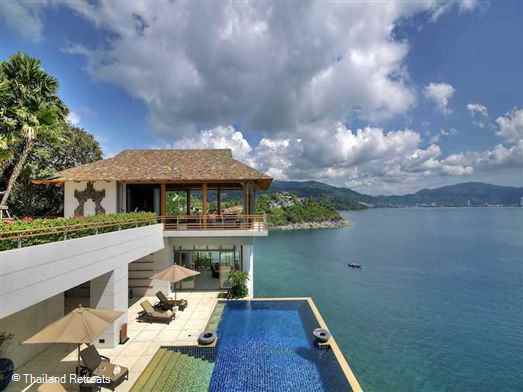 Villa Samira is a stylish luxury 6 bedroom villa Phuket holiday villa with amazing ocean views. Perfect for entertaining with facilities including a media room and games room with pool table and custom made spa room. Offers rate for 6 and 4 bedroom occupancy. 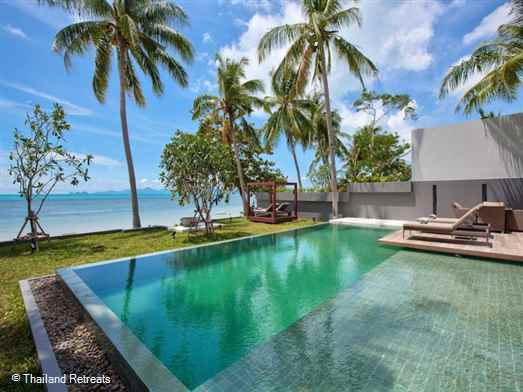 Villa Soong is one of two contemporary style beachfront Koh Samui villas situated within a secure gated area and set in a secluded cove in the north west corner of Koh Samui. Offers rates for 2 bedroom and 3 bedroom occupancy. 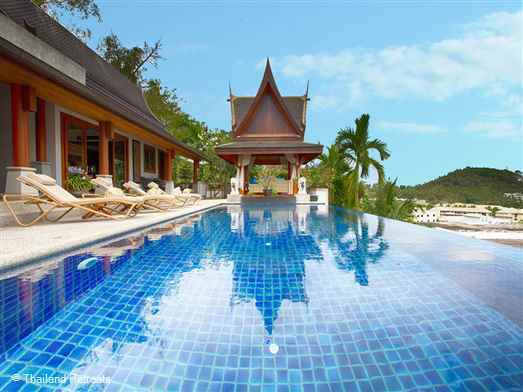 A fantastic and luxurious Phuket villa set in 2 acres at one end of the "Millionaires Mile" right on the waters edge overlooking Patong Bay. 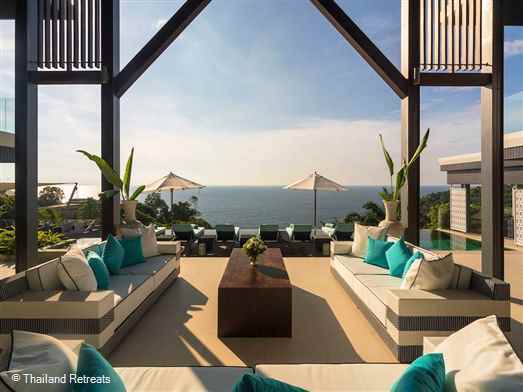 This exclusive villa oozes luxury and space with views from all rooms. 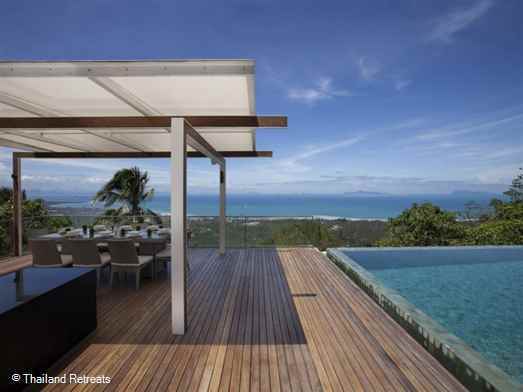 Villa Zest is a contemporary and stylish villa with fantastic views. Children's play room & outside play area. 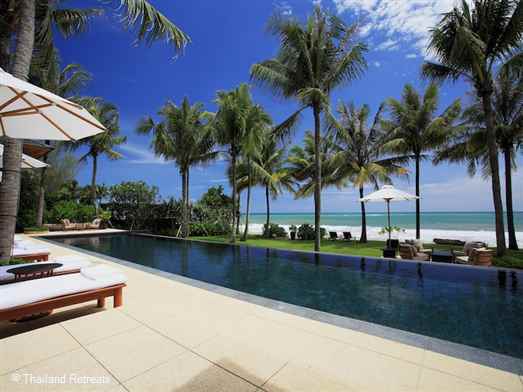 Has private swimming pool and fully equipped gym.